Deploying Sophos Access Points is easy. Automatic setup and configuration means multiple wireless access points are up and running in minutes. Simply plug the access point in and it automatically appears in the Sophos UTM user interface. Enable them from the console, and within seconds they become operational. 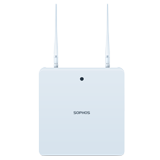 Sophos Access Points are ideal for creating multiple separate wireless zones. Configure a wireless network to provide employees access to internal network resources. On the same access point, you can offer wireless guests Internet access. Do it all without compromising the integrity of the internal network. 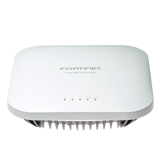 Access points include the dual-band, dual-radio AP 50, that can act as a repeater or bridge to extend Wi-Fi coverage to hard to wire areas. Set up guest hotspots for visitors or BYOD devices to control access to company resources. You get secure, easy-to-manage guest access out-of-the-box—without extra appliances, licenses or complex configuration.